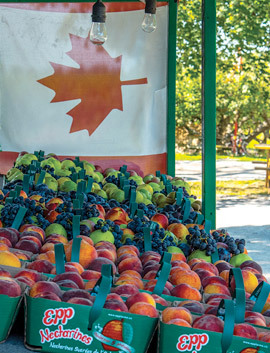 Niagara’s Francophone population is a resilient and dynamic community moving forward with projects and partnerships to raise its profile across the Niagara landscape. The economic growth of the 1920’s attracted many Francophones from Quebec, New Brunswick and Northern Ontario to move to Welland and work in the local textile and steel mills. Welland’s francophone community grew with the building of French language schools, financial institutions, churches and social clubs. The Francophone population gradually increased over the years and to this day is known as “French Town”. 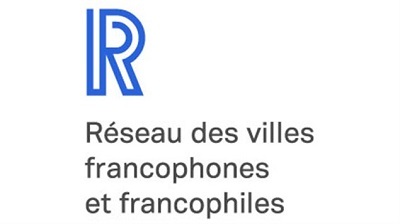 The City of Welland is a centre for Centre de la francophonies des Amérique and is part of the Réseau des villes francophones et francophiles network. Today, Francophones are dispersed throughout all twelve municipalities in Niagara, and their number is highest in Welland, followed by St. Catharines, Niagara Falls and Port Colborne. You can access French language services from all 28 ministries of the provincial government via Service Ontario and from all federal ministries via Service Canada. In Ontario, access to French language services is an entrenched right under the French Language Services Act. This includes things like getting a driver’s license or birth certificate. All information regarding government programs is available in French as well. However, in order to obtain French language services and information, you must present yourself to a government office situated in or near a designated area. A designated area consists of an area where Francophones make up at least 10% of the population. 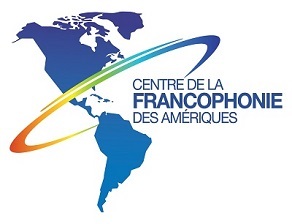 In a city, French language services are offered where Francophone citizens number at least 5,000. The cities of Port Colborne and Welland are designated areas. Franco-Ontarian Day was officially named in 2010 and is celebrated each September 25th. The Franco-Ontarian flag became the symbol of the Franco-Ontarian community in 2001. Read the Franco-Ontarian Emblem Act. 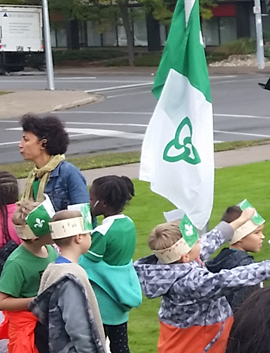 Since 2014, a flag mast at Welland Civic Square is reserved for the Franco-Ontarian flag. Each year, the cities of Welland, St. Catharines and Niagara Falls organize Franco-Ontarian Day celebrations and flag raising ceremonies. At night, Bridge 13 on East Main Street in Welland is illuminated in green and white.